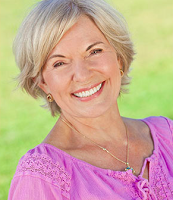 Senior Dental Care is DifferentAs we get older, our teeth become worn and lose strength. Prior dental work can show the wear of time. There is a greater risk for gum infection, as well. So we check our patients for the indicators – red, swollen, or bleeding gums when brushing or flossing, and loose teeth. After years of caffeine and tobacco consumption, teeth may need professional whitening to return their original luster. Some of your medications will decrease the necessary flow of saliva through your mouth, and we have products that will alleviate this complication. We advocate good nutrition, daily hygiene, and routine check-ups to help your smile stay brilliant and keep your natural teeth healthy for a lifetime. Now the Good NewsThe dangers of gum disease have been established, and most dental insurance plans offer coverage to pay for available treatments. With advanced periodontal disease, the treatment is surgical. However, for all other cases there are potent NON-surgical treatments that, combined with enhanced dental hygiene, can essentially stop the spread of the disease. ‘Smile Makeovers’ in as Little as Two Visits!If you have less-than-perfect teeth, large gaps, or odd discolorations, our porcelain veneers may be the right way for you to obtain a flawless smile. Veneers are thin, durable sheets of the most advanced dental ceramic available. They are attached to your natural teeth, so that your teeth look both straight and uniform. 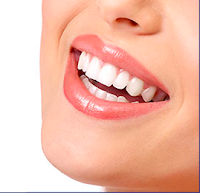 Veneers may also be applied to correct chipped, cracked, or worn teeth, and because they are designed to match the color of your adjoining teeth, they look completely natural.